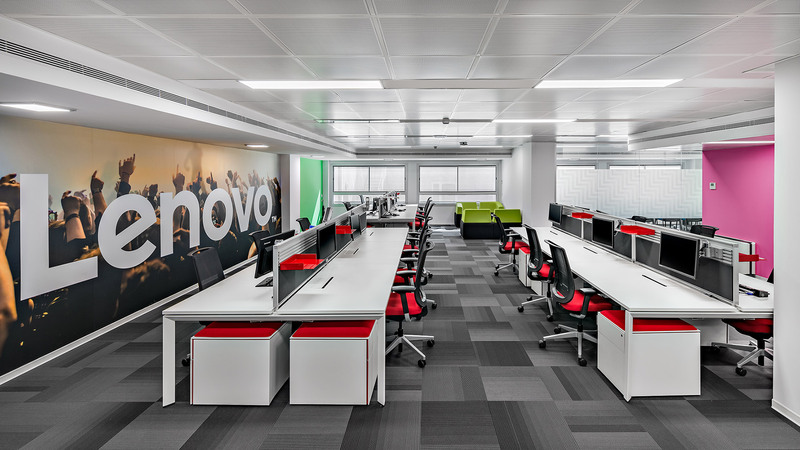 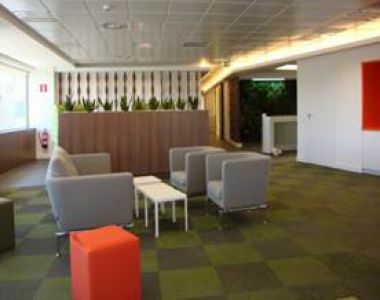 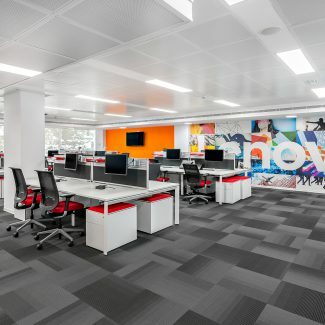 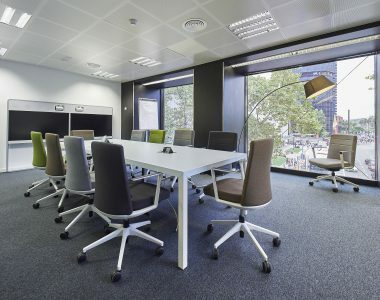 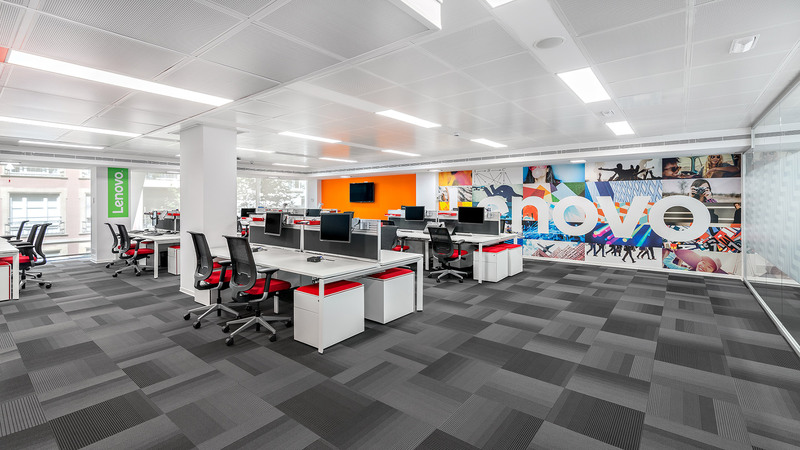 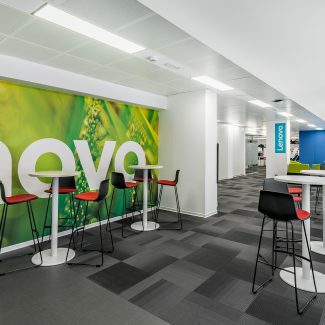 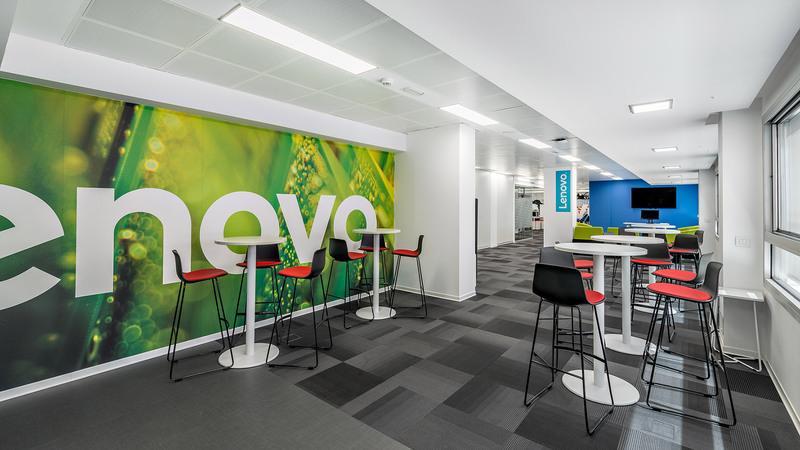 The new offices of Lenovo occupy 500 m² on calle Amigó 11, in Barcelona. 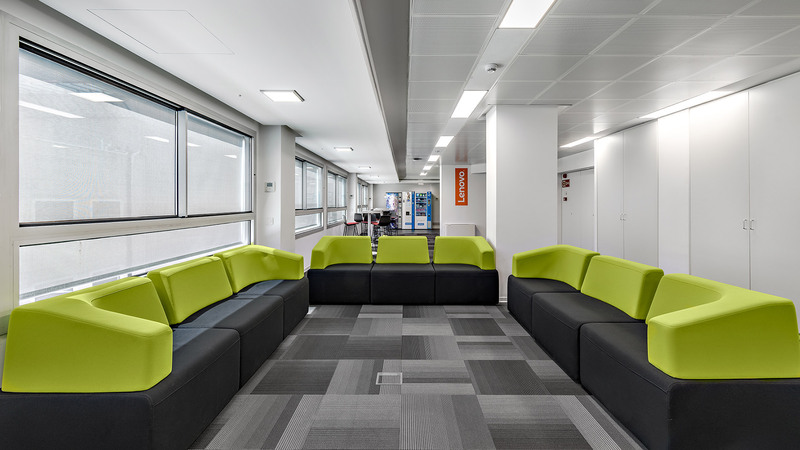 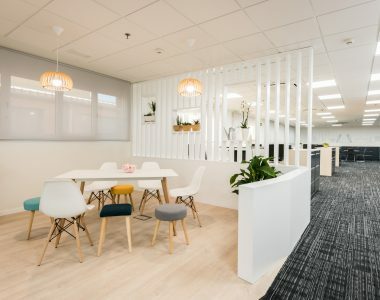 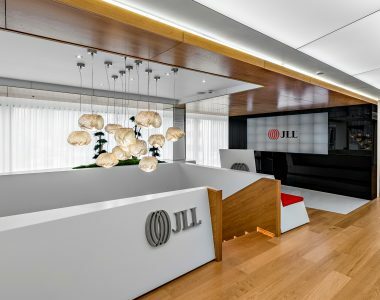 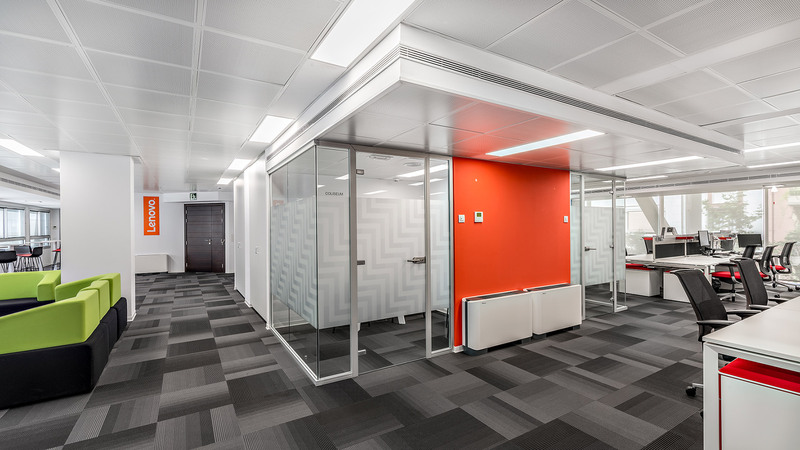 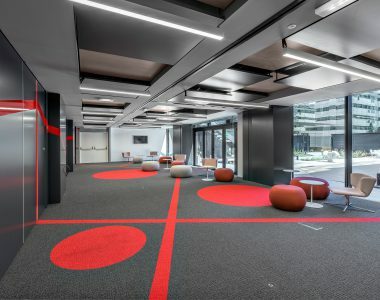 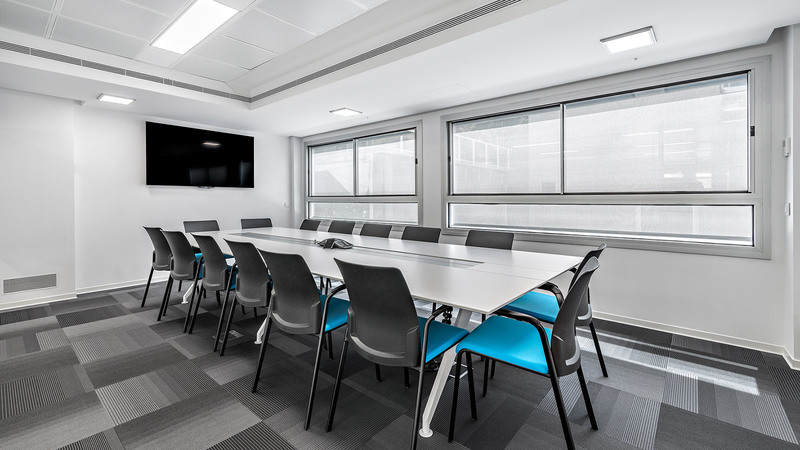 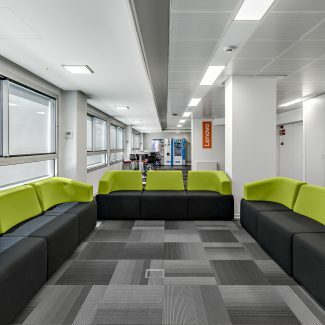 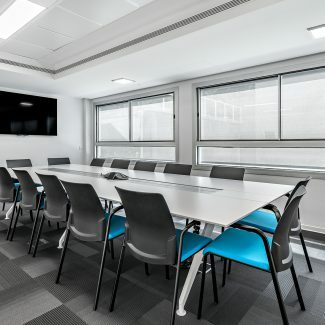 The main challenge of the project was designing a highly functional space, seeking the best operational efficiency possible with a view to hosting 60 work stations while allowing for future growth. 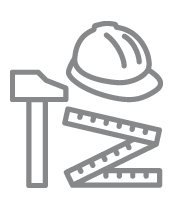 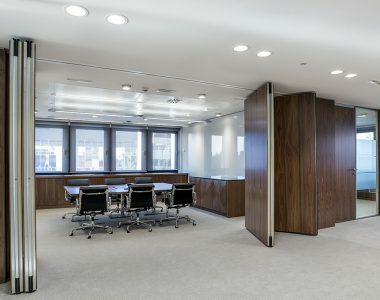 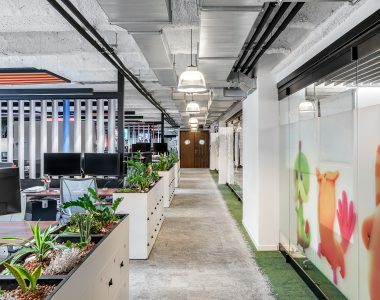 The perspective of staff growth in companies is a significant point with this kind of projects as both the planning of spaces and overall design must be compatible with an increase in personnel. 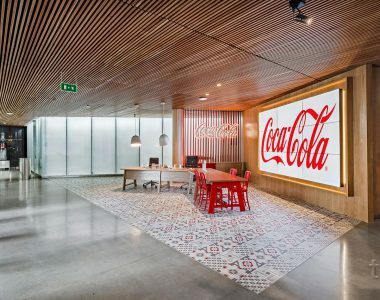 The company wanted to stress its brand image, which was done by opting for vinyls with different versions of its logo. 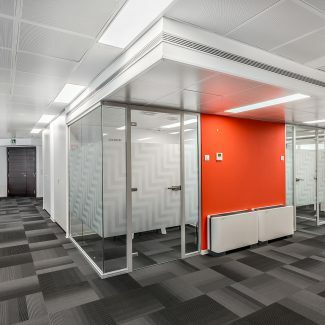 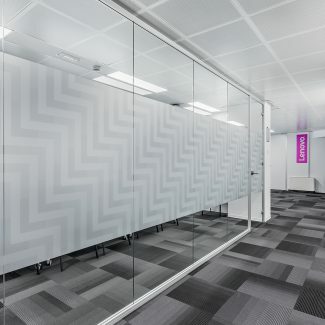 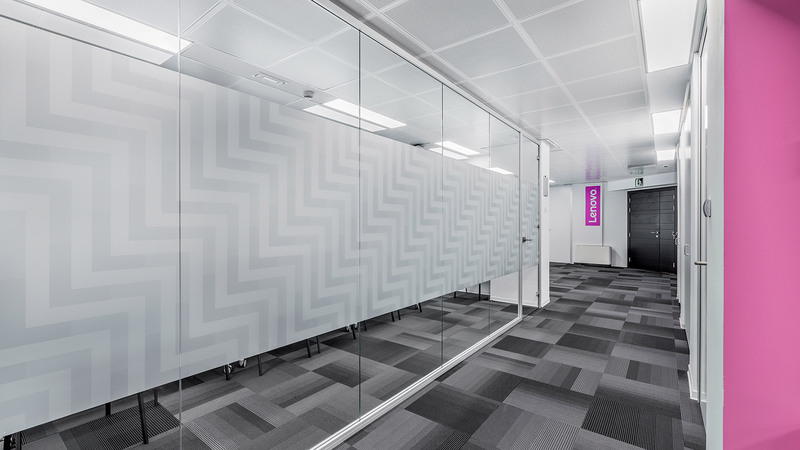 Tétris provided a full turnkey service which consisted of proposing a design and implementing it in order to distribute all the company’s services over two floors. 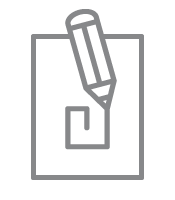 The design of a brand image that represents its corporate philosophy and the public at which it is directed. 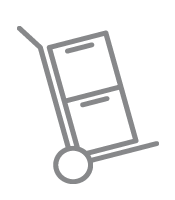 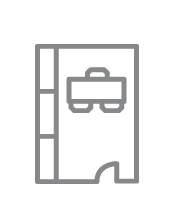 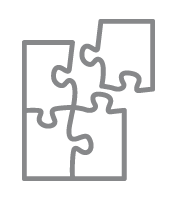 Our team processed the licences and works organisation and management. 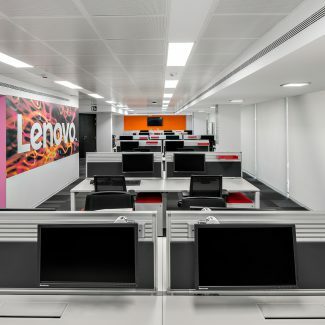 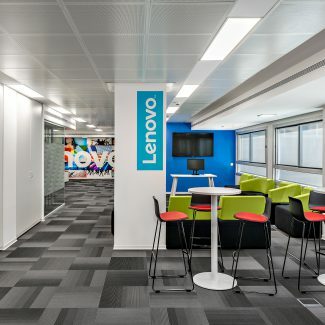 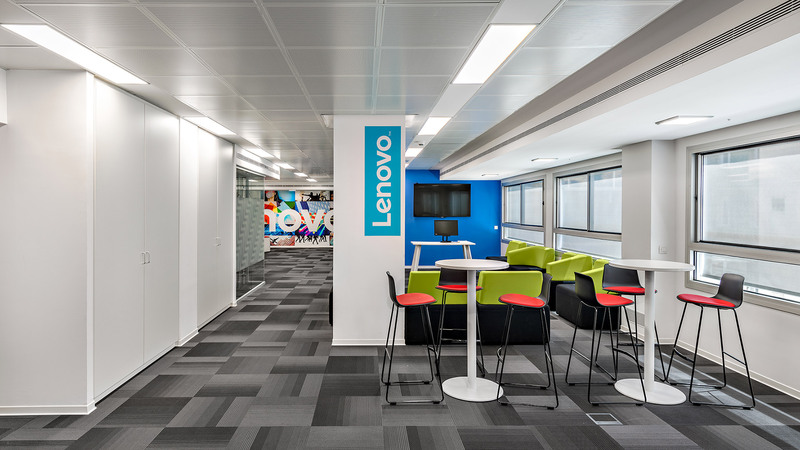 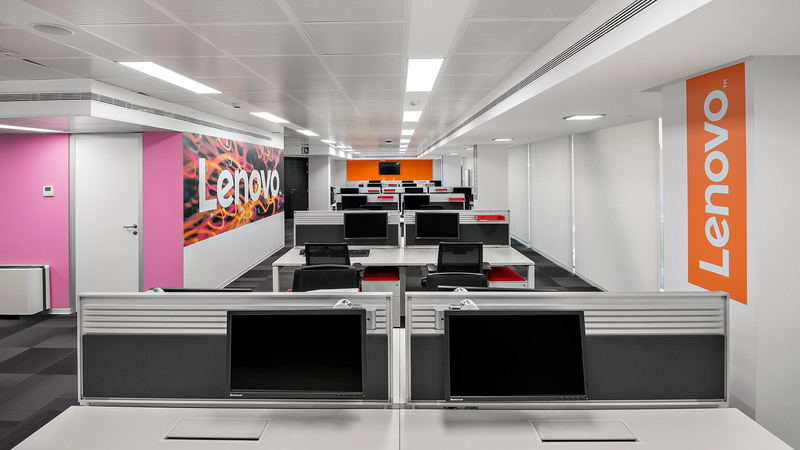 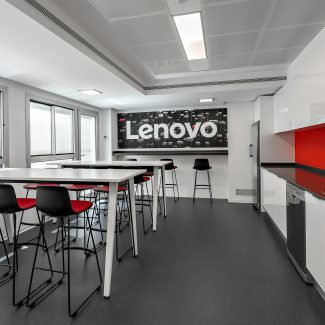 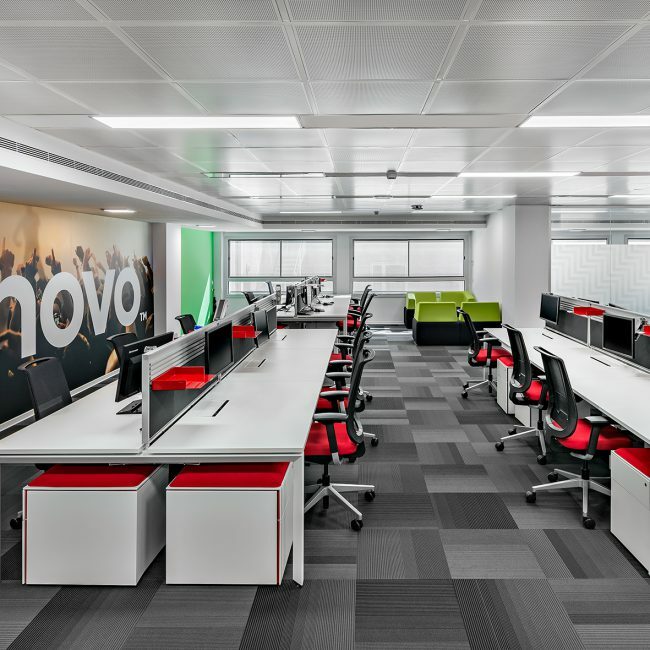 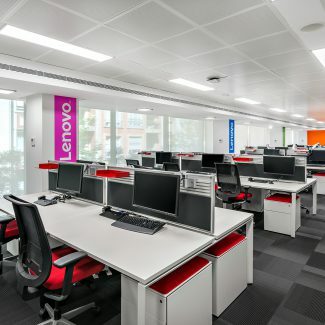 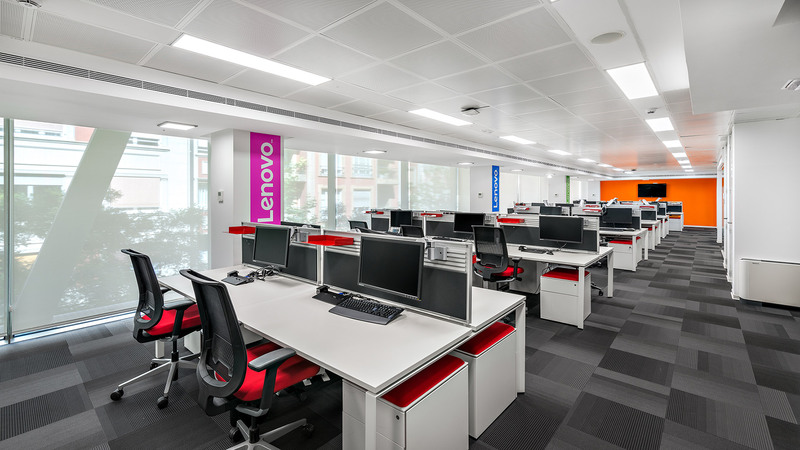 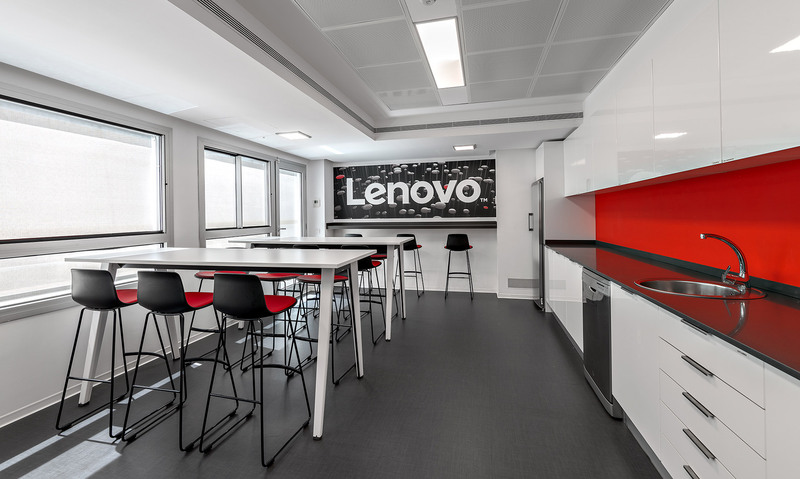 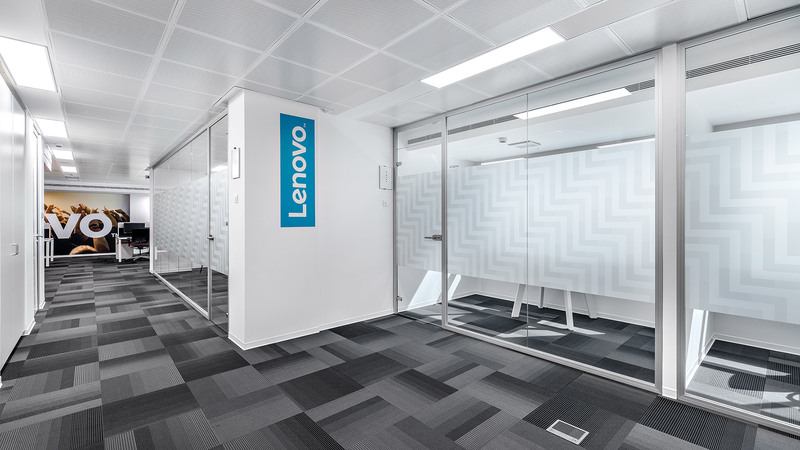 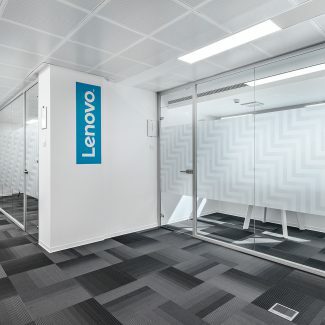 Lenovo, a manufacturer of computers, tablets and smartphones is currently expanding its business in other countries as well as readapting its existing offices.